Redbridge foodbank gives out nutritionally balanced emergency food to people in crisis who have nowhere else to turn. With no financial safety net, a sudden crisis, such as bereavement, benefit delay, redundancy or illness, can leave you unable to feed yourself or family. Such situations can quickly deteriorate, leading to relationship breakdown, house repossession or worse. Redbridge foodbank works alongside local care professionals to support people who find themselves on the edge of disaster. We partner with over 270 organisations who help identify individuals and families in crisis. In our last Financial Year, we received 40 tons of non-perishable food and toiletry items and distributed over 4,000 food parcels. Our donations come from the local community such as Churches, Schools and collections at Supermarkets. 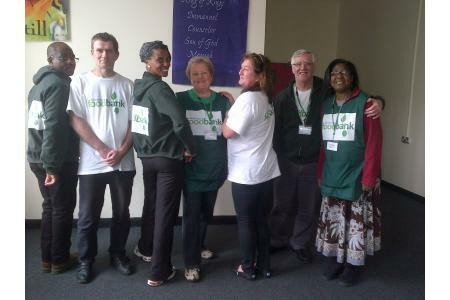 A number of former foodbank clients are now volunteers - taking part in training, helping out with our foodbank sessions and other foodbank activities.